Koriyama Castle’s ruins, a symbol of Yamato-koriyama City is one of the few castle ruins in the Nara area. 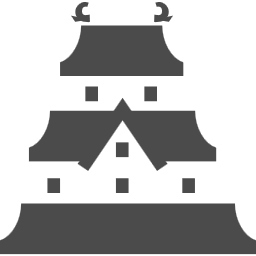 The castle was built by Junkei Tsutsui, who is a feudal load in the 16th century but it was destroyed in the Meiji Era. Now only the original moats and stone walls remain. However, a gate and some castle buildings were restored to show visitors how they once looked like. Usually stone walls made by large fine stones, but Koriyama castle’s stone walls are made by collecting stones from various temples in the koriyama area, so even stone statues are used. 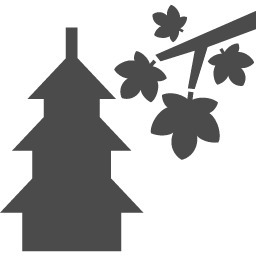 Visitors can see Sakasa-jizo, a stone statue set upside down in the castle keep platform. ● The castle keep platform is now look out point for visitors. The Castle is also famous for cherry blossom viewing spot. Weeping cherry hanging down along the moat is very beautiful. Oshiro Matsuri festival held during the season attracts visitors with cherry blossoms and lanterns. Nearby is Yata-dera Temple. Hydrangeas bloom here in the early summer. 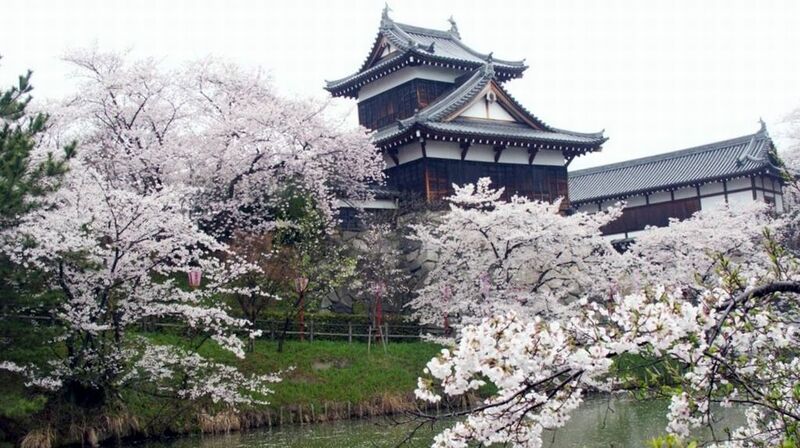 Koriyama Castle’s ruins are famous for cherry blossom viewing spot. Oshiro Matsuri festival held during the season attracts visitors with cherry blossoms, and various events including the goldfish exhibition. Weeping cherry hanging down along the moat is very beautiful. They are lit up with lanterns at night making a magical atmosphere.